Bilawara Lee is a spiritual healer and teacher whose life is completely dedicated to helping us discover the wholeness and boundless beauty within our spirits and hearts. Her true gift is the ability to help you understand how you can discover your inner wisdom. The spiritual revelations she illuminates awaken us to the special path of our spirit without soul influences. This book will guide you to discover your spirits purpose. The book is full of information and instructions on how to live spiritually in today’s rapidly changing society. It is a guidebook for your spiritual journey in life and beyond and how to do this without negative soul influence. 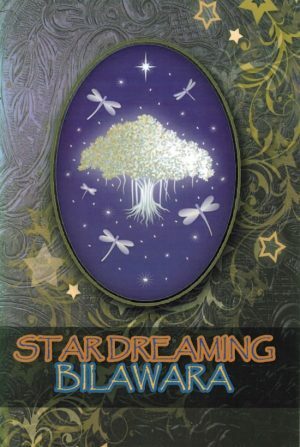 It tells of Bilawara’s journey in writing the book, the philosophies behind the beliefs and ceremonies, and finally the ceremonies that will help anyone who is interested in living their life with Spirit. She brings words of wisdom from our Ancestral Spirits and Cosmic Grandparents. As a Grandmother from the oldest, continues cultures on Earth, Bilawara will share with you wisdoms from the Ancestors for your spiritual journey to the stars.